We Want to Help You Feel Your Very Best!!! Our practice is a general Chiropractic practice with all three doctors having areas of special interest. Dr. Ken Weinbeck works with arthritis and TMJ problems. Dr. Wendy Weinbeck is interested in working with women's and children's issues. Dr. Chris Weinbeck has a special interest in muscle and joint/muscle function problems. Hyatt Chiropractic has been serving patients needs, helping them acheive optimal health and maintain it for 62 years. Dr. Peter Hyatt and Dr. Robert Marinopoulos have been practicing chiropractic for 28 and 15 years. We offer top quality, professional, personalized care. There is state of the art digital x-ray on-site. Ken Lowey, D.C., is a chiropractor located in Boston, MA. Techniques: • Applied Kinesiology • Diversified • Activator Methods • Cox • Nimmo Take the next step and contact Dr. Ken Lowey, D.C., for a consultation in Boston, MA or to get more information. Megan Tabor, D.C., is a chiropractor located in Boston, MA. Techniques: • Diversified • Myofascial Take the next step and contact Dr. Megan Tabor, D.C., for a consultation in Boston, MA or to get more information. Carlo L Zelano, D.C., is a chiropractor located in Boston, MA. Take the next step and contact Dr. Carlo L Zelano, D.C., for a consultation in Boston, MA or to get more information. William Brady, D.C., is a chiropractor located in Boston, MA. Techniques: • Gonstead • Diversified Take the next step and contact Dr. William Brady, D.C., for a consultation in Boston, MA or to get more information. Christopher Quigley, D.C., is a chiropractor located in Boston, MA. Take the next step and contact Dr. Christopher Quigley, D.C., for a consultation in Boston, MA or to get more information. Richard L Green, D.C., is a chiropractor located in Boston, MA. Techniques: • Diversified Take the next step and contact Dr. Richard L Green, D.C., for a consultation in Boston, MA or to get more information. Steven D Edmonds, D.C., is a chiropractor located in Boston, MA. Techniques: • Toggle Recoil • Diversified Take the next step and contact Dr. Steven D Edmonds, D.C., for a consultation in Boston, MA or to get more information. Jonathan Melman, D.C., is a chiropractor located in Boston, MA. Techniques: • Diversified • Sacro Occipital Technique • Nimmo • Active Release Technique • Graston • McKenzie Take the next step and contact Dr. Jonathan Melman, D.C., for a consultation in Boston, MA or to get more information. Richard Green, D.C., is a chiropractor located in Boston, MA. Take the next step and contact Dr. Richard Green, D.C., for a consultation in Boston, MA or to get more information. Lauren M Jalette, D.C., is a chiropractor located in Boston, MA. Take the next step and contact Dr. Lauren M Jalette, D.C., for a consultation in Boston, MA or to get more information. Michael E Chartoff, D.C., is a chiropractor located in Boston, MA. Techniques: • Diversified • Thompson • Trigger Point Therapy • Activator Methods • Myofascial Take the next step and contact Dr. Michael E Chartoff, D.C., for a consultation in Boston, MA or to get more information. Peter W Mc Manus, D.C.
Peter W Mc Manus, D.C., is a chiropractor located in Boston, MA. Take the next step and contact Dr. Peter W Mc Manus, D.C., for a consultation in Boston, MA or to get more information. Scott J Diamond, D.C., is a chiropractor located in Boston, MA. Techniques: • Sacro Occipital Technique • Activator Methods • Diversified • Trigger Point Therapy Take the next step and contact Dr. Scott J Diamond, D.C., for a consultation in Boston, MA or to get more information. Lawrence Ferrara, D.C., is a chiropractor located in Boston, MA. Techniques: • Diversified • Motion Analysis (Palpation) Take the next step and contact Dr. Lawrence Ferrara, D.C., for a consultation in Boston, MA or to get more information. John P Beneski, D.C., is a chiropractor located in Boston, MA. Techniques: • Gonstead • Activator Methods • Flexion-Distraction • Palmer Package • Traction Take the next step and contact Dr. John P Beneski, D.C., for a consultation in Boston, MA or to get more information. Kevin J Loughlin, D.C., is a chiropractor located in Boston, MA. Techniques: • Palmer Package • Diversified • Thompson • Gonstead • Activator Methods Take the next step and contact Dr. Kevin J Loughlin, D.C., for a consultation in Boston, MA or to get more information. Jeffrey Kennis, D.C., is a chiropractor located in Boston, MA. Techniques: • Palmer Package • Sacro Occipital Technique • Activator Methods • Cox Take the next step and contact Dr. Jeffrey Kennis, D.C., for a consultation in Boston, MA or to get more information. George Assad, D.C., is a chiropractor located in Boston, MA. Take the next step and contact Dr. George Assad, D.C., for a consultation in Boston, MA or to get more information. Patricia Boulogne, D.C., is a chiropractor located in Boston, MA. Take the next step and contact Dr. Patricia Boulogne, D.C., for a consultation in Boston, MA or to get more information. Philip Piscitelli, D.C., is a chiropractor located in Boston, MA. Take the next step and contact Dr. Philip Piscitelli, D.C., for a consultation in Boston, MA or to get more information. Francis Sheehan, D.C., is a chiropractor located in Boston, MA. Take the next step and contact Dr. Francis Sheehan, D.C., for a consultation in Boston, MA or to get more information. Laura A Conway, D.C., is a chiropractor located in Boston, MA. Take the next step and contact Dr. Laura A Conway, D.C., for a consultation in Boston, MA or to get more information. Kristi Mc Lean, D.C., is a chiropractor located in Boston, MA. Take the next step and contact Dr. Kristi Mc Lean, D.C., for a consultation in Boston, MA or to get more information. Candace Maddalo, D.C., is a chiropractor located in Cambridge, MA. Take the next step and contact Dr. Candace Maddalo, D.C., for a consultation in Cambridge, MA or to get more information. 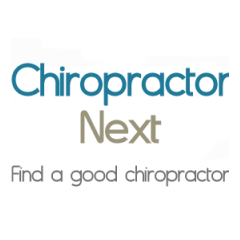 Holley M Heyert, D.C., is a chiropractor located in Boston, MA. Take the next step and contact Dr. Holley M Heyert, D.C., for a consultation in Boston, MA or to get more information. Shelley Reimer, D.C., is a chiropractor located in Cambridge, MA. Techniques: • Diversified • Motion Analysis (Palpation) • Flexion-Distraction • Soft Tissue Orthopedics • Thompson • Neuro Muscular Technique Take the next step and contact Dr. Shelley Reimer, D.C., for a consultation in Cambridge, MA or to get more information. Rita L Field, D.C., is a chiropractor located in Cambridge, MA. Techniques: • Directional Non-Force Technique • Sacro Occipital Technique • Cox Take the next step and contact Dr. Rita L Field, D.C., for a consultation in Cambridge, MA or to get more information. Steven Bromberg, D.C., is a chiropractor located in Cambridge, MA. Techniques: • Diversified • Pettibon Take the next step and contact Dr. Steven Bromberg, D.C., for a consultation in Cambridge, MA or to get more information. Kim Luzzi, D.C., is a chiropractor located in Cambridge, MA. Take the next step and contact Dr. Kim Luzzi, D.C., for a consultation in Cambridge, MA or to get more information.